Evers Electric, based in Waxhaw, North Carolina, provides you with a broad spectrum of electrical service and electrical repair, from indoor and outdoor lighting to setting up your home entertainment system. receptacles, both exterior and interior, in addition to ARC faults. 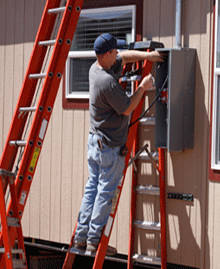 When you need electrical services of any type, large or small, contact us.